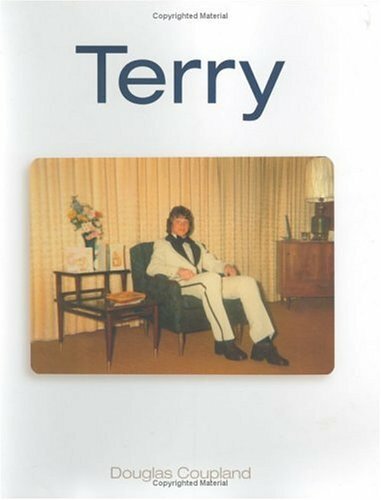 From Goodreads ~ In 1980, Terry Fox was just a young man with a dream. Three years earlier, he had lost a leg to cancer. 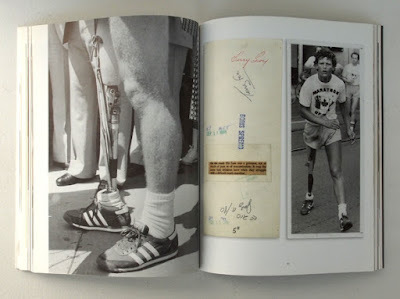 Some combination of passion, idealism and sheer guts led to the impossible notion that he would run across Canada on one good leg and a prosthesis. His goal was to raise $1 from every Canadian to help find a cure for cancer. Twenty-five years later, the dream remains alive, and Terry's legacy has raised more than $360 million for cancer research. 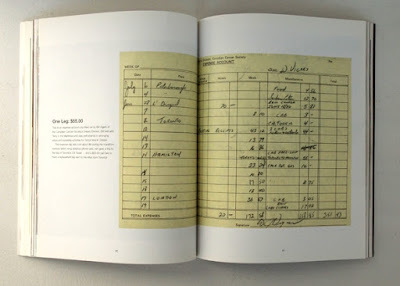 "Terry" has been written with the support of the Fox family and the design reflects the style of Douglas Coupland's Souvenir projects, mixing more than 145 superb photographs of a previously unknown collection of family memorabilia with a very moving text about Terry's life and the Marathon of Hope. Printed in full colour, the book brings a profound moment in Canadian history, and the young man who inspired it, freshly to life. Terry Fox was an ordinary young man living in Port Coquitlam, BC. He was athletic and enjoyed running and basketball. When he was 19, they discovered he had a cancerous tumour and his right leg was amputated at the knee. With an artificial leg, he began running again and played wheelchair basketball. On April 12, 1980, Terry began the Marathon of Hope, a cross-country run to raise money for cancer research. He hoped to raise one dollar from each of Canada's 24 million people. He began in St. John's, NF, and ran the equivalent of a full marathon every day. On September 1, 1980, he was forced to end his run outside Thunder Bay, ON, because the cancer had spread to his lungs. He headed home to BC immediately to begin treatment and passed away in June 1981. This book chronicles the Marathon of Hope. I like the way it was written with bite-sized chunks of information. 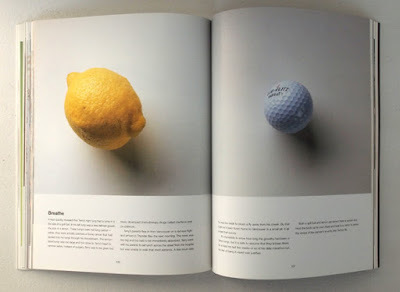 Children and adults can read this book. 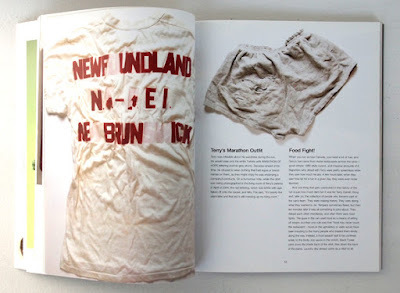 It is laid out with many full-colour pictures showing Terry's clothing during the marathon, people he met along the way, gifts and letters he received and more. One of Terry's earliest supporters was Isadore Sharp, founder of the Four Seasons Hotels, who proposed an annual fundraising run in Terry's name. Terry agreed but insisted that the runs be non-competitive. The first Terry Fox Run was on on September 13, 1981 ... over 300,000 people took part and raised $3.5 million. The Run has grown to involve millions of participants in over 60 countries and is now the world's largest one-day fundraiser for cancer research ... over $750 million has been raised (as of January 2018). I walked 5km in this Run in my 'hood the last two years and this past year became a volunteer. The author is donating all of his royalties from this book to the Terry Fox Foundation. The publisher, Douglas & McIntyre, is making a contribution to the Foundation by paying royalties at double the rate for every copy of this book that is sold. As if I didn't love Coupland enough, he writes a beautiful tribute to Terry Fox. This is an amazing book! Both make me proud to be Canadian.